Highlights of the Sky Bet Championship game between Sheffield United and Leeds. Billy Sharp was the downfall of Leeds again as his double secured a 2-1 win for Sheffield United and defeat for Paul Heckingbottom in his first game in charge. 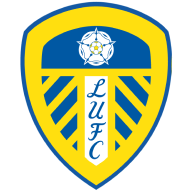 Heckingbottom had been hastily installed at Leeds in midweek after the sacking of Thomas Christiansen last Sunday, and they got off to the worst possible start as Sharp netted inside two minutes. Pierre-Michel Lasogga hauled Leeds level just after the break - but Sharp scored from the penalty spot after 73 minutes to seal the win for the Blades - his seventh in his last six starts against his old club and his 201st league goal in English football. It took just 70 seconds for Sharp to find the opener when he met Mark Duffy's cross from the right after an attempted headed clearance from Eunan O'Kane, and he did the rest with a stunning volley that left Felix Wiedwald with no chance. Leeds United conceded in under two minutes in Paul Heckingbottom's first game in charge of the club as Billy Sharp put Sheffield United 1-0 up with a superb finish. Both sides made three changes. 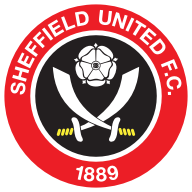 Jamal Blackman started in goal for Sheffield United in place of the suspended Simon Moore, while Mark Duffy and captain Billy Sharp also came into the starting XI. While Paul Heckingbottom's first XI saw Stuart Dallas, Eunan O'Kane and Kalvin Phillips start. The Blades dominated most of the first half with Leeds not helped by an injury to Kemar Roofe, who was forced off with what appeared to be concussion after colliding with Chris Basham. Leeds had created very little by first-half stoppage time, but had a fantastic chance to level the game in the second added minute. Pablo Hernandez, on for Roofe, whipped a free-kick right onto the head of Pontus Jansson, and his effort seemed destined for goal until Jamal Blackman got across to keep it out. Hernandez was then at the heart of Leeds' equaliser just two minutes after the break, as he capitalised on some slack play from Jack O'Connell before picking out a cross to Lasogga, and this time Blackman wasn't able to get over in time to keep the header out. It would be the Blades who had the last laugh, though, as O'Kane tripped John Fleck in the box to give away a penalty, which Sharp stepped up to fire home. Billy Sharp always turns up against Leeds and today was no different. He started the game with a stunning volleyed opener and sealed the win from the penalty spot in the second half. Chris Wilder: "We needed it. I'm sick of banging on about how well we're playing and not getting results. People are looking at me as if I'm a bit of a nutter, going on about it. We were close against Villa but we didn't deserve anything against Wolves. "We're at the business end of the season and we need to pick wins up. We've got one and we're off and running." Chris Wilder says he got exactly what he wanted from Billy Sharp today following Sheffield United's 2-1 win against Leeds. Paul Heckingbottom: "Getting beaten is not nice and I know when I look back at the first goal that there will be things I don't want to see. Sheffield United are, in my opinion, the best in the league at building momentum. They were keeping possession, playing forward and putting us under pressure. "We had to change that and play forward more. We played on the front foot in the second half and we had more energy. Kemar Roofe got a knee in the head and had a tooth knocked out so Pablo Hernandez came on. We know what Pablo can do and he got us back in the game. "There was a bit of apprehension - I could sense it - and I thought that lifted in the second half. I want them to have more freedom because the last thing we want is for anyone playing within themselves." Sheffield United are in FA Cup action at Leicester next Friday night, while Leeds host Bristol City in the Sky Bet Championship on Sunday, live on Sky Sports Football.